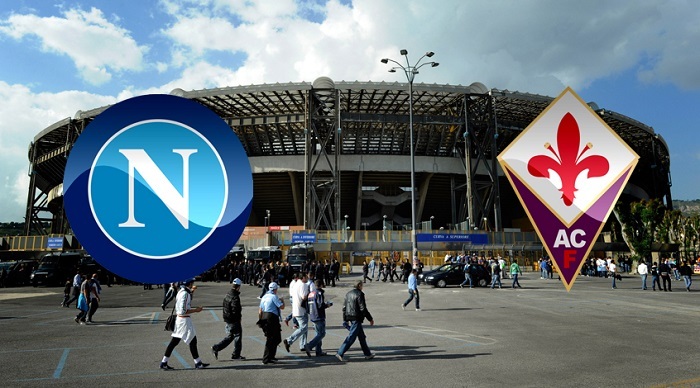 Our experts have prepared a forecast for the match Napoli vs Fiorentina that would take place in the fourth round of the Italian Serie A. Football. Italian Championship. Serie A.
Napoli spent past season well but failed to win important trophies. The team lost the battle for the championship to Juventus and stopped at the stage 1/16 finals of Europa League. After such unsuccessful result Maurizio Sarri was dismissed (but he immediately headed Chelsea). Experienced Italian specialist Carlo Ancelotti replaced him. Based on the results of the first matches of the new season, the team still needs to work on some skills (especially in defense). The recent defeat in the battle with Sampdoria (3:0) revealed that. However, there were matches with Milan (3:2) and Lazio (1:2), where the Neapolitans also conceded goals. Whatever it was, they approach the match in the status of unconditional favorite and bookmakers’ odds confirm that. And we’ll find out pretty soon whether Napoli would be able to confirm this status. The Violets also failed past season. Fiorentina finished the season on the 8th place in the Serie A standings, which hardly suited the team’s management and fans. On the other hand, this year the team got the opportunity to fully focus on the domestic championship and uses it well. Now the Violets take the 3rd place in the Serie A standings with 6 points gained, and they have one match in reserve compared to leading Juventus and Sassuolo. It should be noted a confident play in the attack, which is the strength of the team. This is borne out by seven goals scored in two matches played in the championship. Napoli: Ospina, Hysaj, Koulibaly, Rui, Albiol, Allan, Diawara, Zielinski, Milik, Verdi, Insigne. Fiorentina: Lafont, Biraghi, Milenkovic, Esserik, Gerson, Simeon, Pezzella, Benassi, Chiesa, Fernandes, Hugo V.
Napoli is now far from being in excellent shape. Fiorentina is strong in the attack, but there are failures in the defense. The team has not yet come across a strong rival who would be able to use it skillfully. Recently Napoli and Fiorentina have been playing with each other highly effective. For instance, 3 or more goals were scored in 3 of their last 4 meetings. First of all, we expect a spectacular match that would bring joy to the fans also in the form of a large number of goals scored.